Last Saturday Stu and I treated my mother and father to an afternoon at the theatre. 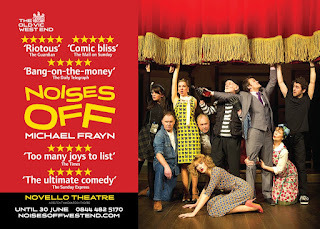 We went to see Michael Frayn's Noises Off at the the Novello Theatre in London's glitzy West End. I have to say we loved it. We laughed and laughed. It's basically a farce - which can be hard to pull off anyway - written as a very clever deconstructive piece using the grammar and language of the genre to spoof itself. The title comes from the theatrical stage direction indicating sounds that are meant to originate offstage. 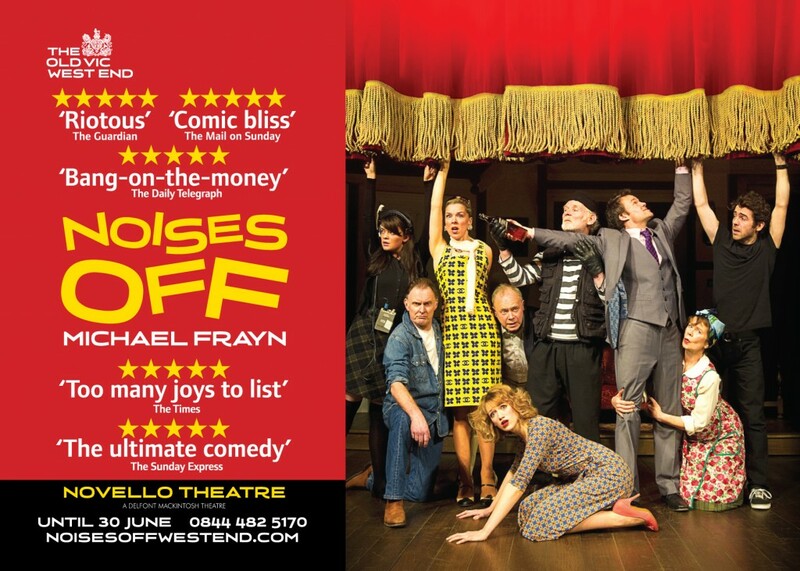 The conceit of a play within a play then hurtles along at breakneck speed following the backstage antics of a touring theatre company as they stumble their way through rehearsals to a shambolic first night and a final disastrous performance. Celia Imrie's Dotty Otley was brilliant and deserves the Olivier Award for Best Actress. If you get a chance - go see!